"The hedge on the left hand side of this hole will always make you aim a bit further right than you normally would. Consequently, the tee shot ends up somewhere on the right by the long row of conifers. You may have a decent second shot if you're lucky, otherwise you'll be looking at a bogey. 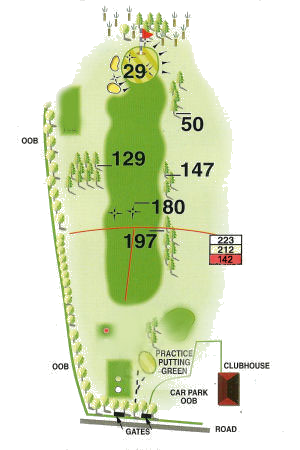 A shot past the pimples will leave less than 170 yards to the centre of the green"